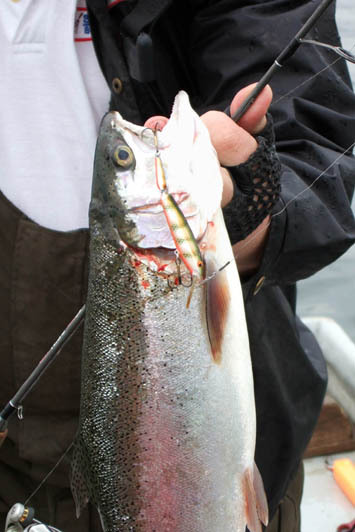 : are 28mm in length, weigh in at 3g, will dive to around 2' on the crank and around 4' on the troll (assuming 20lb braid . 3lb mono), are available in all the same colours as the Fat Fry and are furnished with a single Size 12 treble of the usual VMC 9649 pattern. This particular lure “just about” floats on its own, by the time you’ve attached a small trace (6” of 49 strand nova silk wire in 12lb with an Italian snap and a size 20 swivel), these sink very slowly. Obviously the bigger the trace the quicker they will sink. 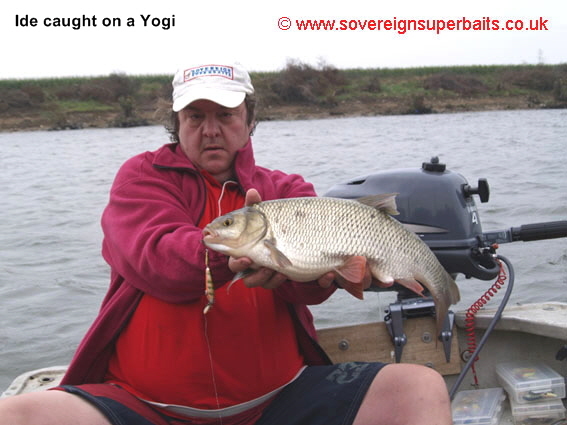 They have an excellent tight wiggling action and like all the other Yogi’s we have caught just about every predator on them including an 11 lb Catfish while in Serbia. : Here we have the full range of the original Yogi Fat Fry which several members of the LAS tested for us way back in 2003. It has taken all this time to get them manufactured in bulk as we have been concentrating on the other models we have commissioned for the range. We have settled on the same 14 colours right through the range of Yogi’s and like all the others these are entirely hand made, hand painted and individually tank tested. : These are a larger model of the Jointed Fry measuring 84mm long excluding the diving bill and weighing 6g, furnished with a pair of Size 6 VMC 9649 trebles and come with all the same attributes as the Jointed Fry in a slightly larger size. We tested these last June on Hanningfield with the Trout and at the end of the day Chris Ball (infamous Carp supremo) simply asked how much it would cost to take home the tackle lures he had borrowed from us. : Here we have a Yogi lure designed by us here at Sovereign, made to the same exacting standards as the other Yogi’s you already know and love. These will fish down to around 4’ on the crank and 6’ to 8’ on the troll depending on the breaking strain of your line and the speed of your boat. 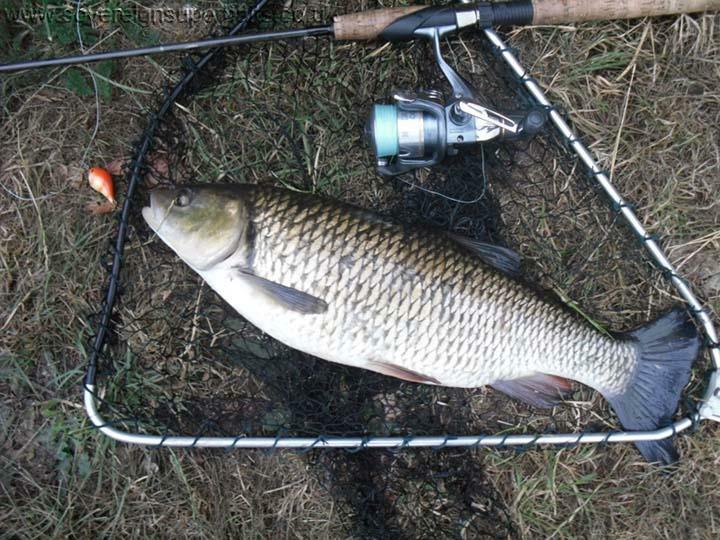 We tested these through Autumn of ‘08 on the Maas and the Thames and every single colour proved an excellent catcher. They are 70mm long excluding diving bill and weigh 8g and are furnished with a pair of size 8 VMC 9649 trebles. 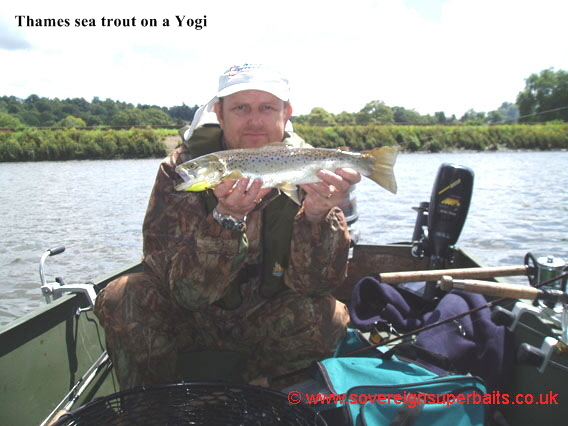 : The latest edition to the Yogi range is a fantastic fish catcher as you would expect, it has a similar profile to the old Bagley Flat B hence the name. It is 55mm in length, weighs 6g, comes with a pair of size 8 VMC 9649s and it runs down to around 3’ on the crank and anything up to 6’ on the troll dependant on the thickness of braid used. 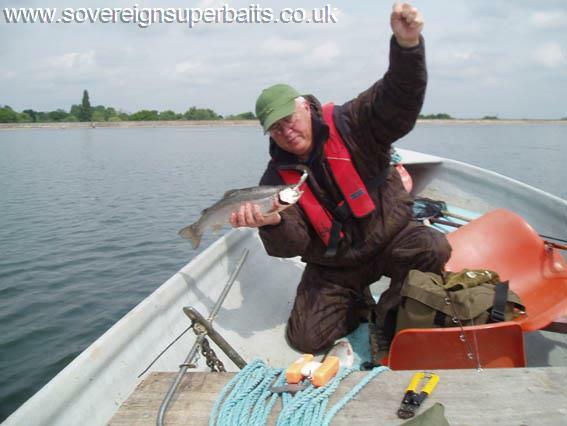 This lure was extensively tested throughout the 2011 summer on dozens of English and Dutch waters. We had pike well into doubles plus all the usual predator species. 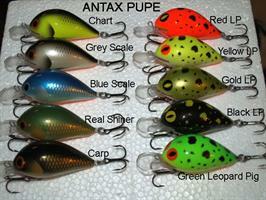 : These lures are entirely handmade, hand painted and hand tuned. 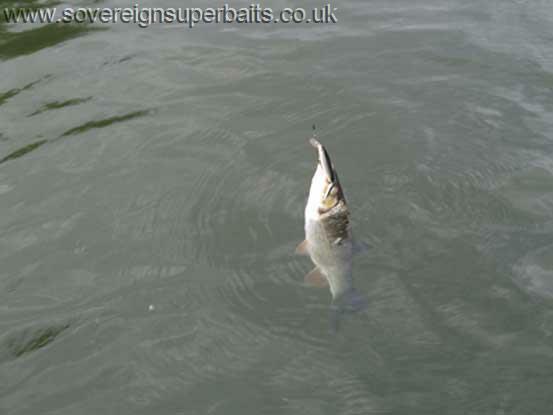 Individually tank tested and exclusive throughout Europe to Sovereign Superbaits. We have bought the entire next years run in advance. 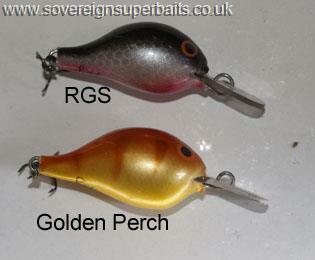 These little lures have an absolutely fantastic action and will attract just about any predatory species in the UK. They are approximately 50 mm long and weigh approximately 4g. We emphasise “approximately” because of their handmade nature. They are made of type 2 balsa which is the second hardest grade, fitted with poly carbonate diving bills, are wired right through from nose to tail hook, which are of course VMC. 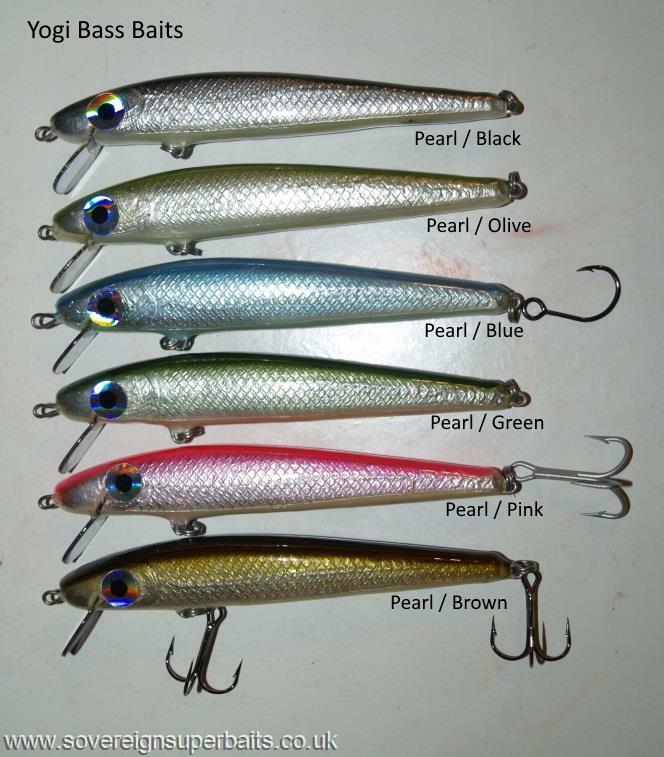 If you are into ultraliting you will absolutely adore these lures. 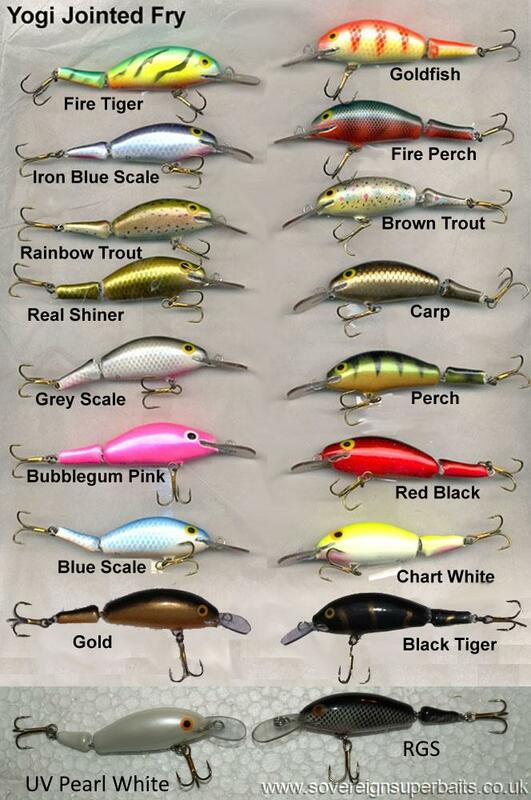 The latest in a growing range of totally hand crafted lures from Serbia. These lures have been a long time coming, they have taken a great deal of trial & error to get them just right & catching fish. We have just six colours at the moment, but if there is a particular colour you would like, we can get a one off made or if several people want the same colour we will stock it on the site. 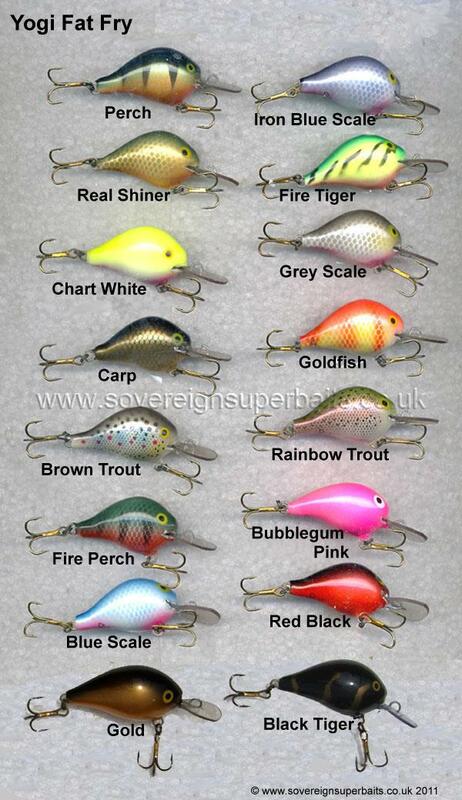 These lures are total hand crafted from balsa wood, individually freehand painted (not stencilled in bulk), they have hand tooled foil, are wired right through, have no less than 17 layers of paint, foil & varnish & you have a choice of three different hooks. All for around half the price of some "allegedly" Japanese piece of plastic ! PLEASE NOTE: when buying so called Japanese stuff, if it doesn't say "entirely made / manufactured in Japan" then it is more than likely Chinese with some fancy legal play on words to convince you it is Japanese.